A wonderful gift for you, your family and coworker.Squishy: Slow rising. 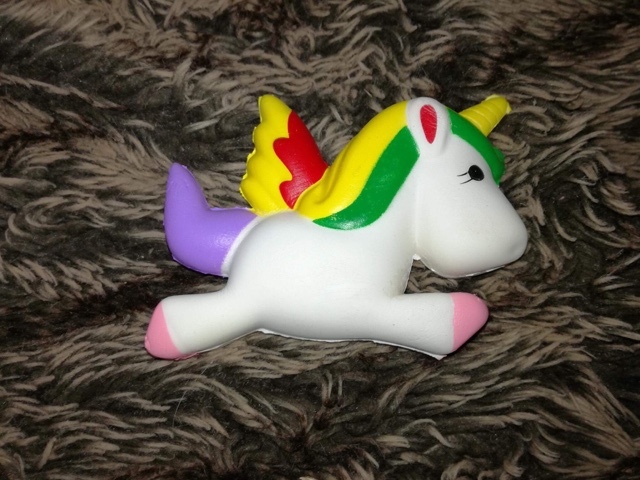 My unicorn mad daughter loves this stress ball style toy. It looks great, the colours are very bright and the overall effect is very cute. It's very soft, unlike some other stress balls that can be hard on your hands. Once you start playing with this toy you'll find it's quite addictive! This is a perfect way to get out your stress and anger. It would also be ideal to use as a fidget type toy for those who struggle with anxiety etc. When you've finished playing with your unicorn he'd look very sweet sat on your desk or shelf. This is a lovely toy at a very affordable price. It's an ideal stocking filler for unicorn fans.